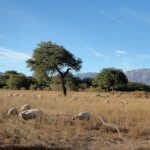 This rural Argentina tour takes you on a journey through the beautiful landscapes of the region of Salta, where you will discover a rich Inca heritage, experience Andean culture and have the opportunity to immerse yourself fully in local culture and nature. To find out more about this tour, you can read The Guardian feature Homestays in Argentina: how ethical holidays are protecting a way of life and watch the audio slideshow Traditional music in Argentina’s wild north west. 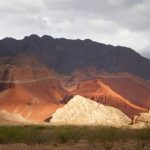 This ethical and authentic adventure into rural Argentina includes a guided tour of Salta, one of the most important historical cities in the country, a tour of the valley of Cafayate and the Shells Gorge, cultural and eco-tourism activities within three different rural communities, a guided trek through the beautiful landscapes of Los Colorados, a taste of the rich, local gastronomy, agricultural and ceramic craft activities and a tour of the amazing Calchaqui Valley. In the beautiful and historical city of Salta, you will be able to delve deeper into the indigenous past of this fascinating region and learn more about Andean culture and its rich Inca heritage. What follows is a truly incredible tour of the surrounding valleys through a succession of stays in three different rural communities. You will travel through, to name but a few, the valleys of Lerma, Cafayate and Calchaquies, as well as the truly breath-taking Shells Gorge. You will then stay with the El Barrial, Corralito and El Divisadero / Santa Rosa communities in the Calchaquies Valley. This is a truly unique opportunity to discover not only the beautiful landscapes, rich culture and delicious gastronomy of this fascinating region but also its people, traditions and lifestyle in a truly responsible and authentic way. 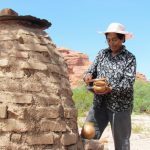 You will get the chance to take part in cultural and eco-tourism activities, trek through the beautiful landscapes of Los Colorados and try your hand at intriguing agricultural methods and various crafts. Welcome reception on arrival and transfer to a well located hotel in Salta. In the afternoon, get ready for a private guided walking tour of Salta, one of the most important historical cities in Argentina. Visit the main square ‘9th of July’ with its colonial period buildings and architecture, as well as the beautiful town hall, known as the best in the country. The tour includes a walk up to the top of San Bernardo Hill (250 meters above the city) where you can enjoy great views over Salta Valley. Free evening back to the hotel. 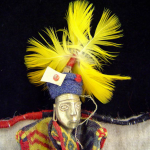 After breakfast, enjoy an introduction to Andean culture on a trip to the High Mountain Archaeological and Ethnic Pajcha museums and immerse yourself in the ancient Inca culture of the north-west of Argentina. Free afternoon. Dinner will be served at a traditional Peña, where the people of Salta meet to sing and play guitar and other traditional instruments. 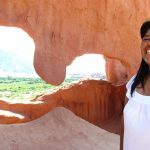 Set off early with your English speaking guide / driver for a 3-hour private transfer through the Lerma and Cafayate Valleys and the Calchaquies Valleys, as well as the Shells Gorge. Tobacco farming is the main economic activity in the Lerma Valley and you will enjoy spectacular views on route. In the Shells Gorge, wind and water erosion has sculpted the rocks, creating bizarre and remarkable shapes. Once in the Calchaquies Valleys, you will meet the inhabitants and spend a few nights with the local communities. You'll enjoy a traditional farmers’ lunch in the Corralito community. In the afternoon, go on a trekking excursion to discover the surroundings. Accommodation is in private rooms with shared facilities. Join in with the day-to-day activities of a rural family in the heart of the Calchaquies Valleys. In addition to ecotourism activities, you will get to try your hand at the preparation of regional cuisine and farming work, such as growing peppers for paprika, onions and cumin, along with goat and cattle breeding. All meals are included and you will have the opportunity to try traditional rural gastronomy and local organic wine. Alternatively, you can just relax and chill out with a glass of wine in the sunshine surrounded by nature. After breakfast, find out about local ceramic craftsmanship, its processes and techniques, visiting Dolly Graña local artisan in El Barrial rural community. Lunch will be served in the Corralito community and in the afternoon, head off for a tour of the wine-production facilities and some wine-tasting at one of the local vineyards. 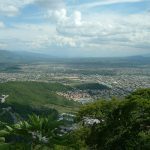 In the evening, you’ll transfer to another rural community in the Calchaquies Valleys: Santa Rosa. Accommodation in a private room in the community guesthouse. 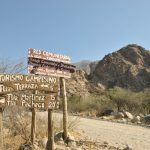 In the morning, enjoy a guided tour to the Quebrada de las Flechas reserve, travelling through different but equally unforgettable landscapes. At noon, you will join the hosts for the preparation of regional cuisine and enjoy lunch together. After lunch, transfer to San Carlos, a small village in the heart of the valley where you’ll be taken on a guided tour of the village, including a visit to the offices of the Rural and Community-based Tourism Co-Operative. Participate in the activities with the loom at Santos Filomena Condori craft market. In the afternoon, you’ll be transferred to ‘El Divisadero’ community, surrounded by breath-taking wild landscapes and you will be welcomed and hosted by one of the local families. Accommodation in a private room in a community guesthouse. After breakfast, go for a guided walk along the Colorado River. In the afternoon, depending on the season, you could be tending to fruit trees or vineyards, learning the different techniques of wine-making. This region produces award-winning organic wines and you'll get a chance to taste it for yourself on a late morning tour of the vineyards. After lunch, you will be visiting one of the traditional family farms, also members of the Co-Operative. Get ready to enjoy a delicious dinner of local specialities served with organic wines. 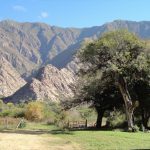 After breakfast, discover the ancient cave paintings of the region; return to the community for lunch and later you’ll head back through the Shells Gorge to transfer directly to Salta city (approx. 2.5 hours). From Salta you can either start your journey home, or start a new adventure. End of tour. There is no minimum number of passengers required and you will not be travelling with a group of people you do not know. Prices quoted are per person and based on 2 people travelling. You should expect a cheaper price for bigger groups. Your passport is required at time of booking. For information on visa requirements and health formalities please visit the FCO Travel Advice Website (direct link to Argentina page) or the US Travel Advice Website (direct link to Argentina page). This trip, like most of our adventures through Latin America, has a low level of physical difficulty and participants can choose to do as much or as little as they like. What to bring: Travel insurance, passport, binoculars, alarm clock, walking shoes, water bottle, daypack, sun protection, insect repellent, sun glasses and hat, swimwear, flip-flops, torch with extra batteries, comfortable light cotton shirts with long and short sleeves, comfortable trousers made of cotton or a light synthetic material, shorts, rain coat. Extra budget recommended: Around £150pp / $200pp to cover meals and all other expenses not included in the itinerary. What is included: Welcome reception at the airport. Private transfers and overland transport. Accommodation. Entrance fees to sites of interest, museums and national parks mentioned in the itinerary. Guided activities and excursions with English speaking guides. Meals as stated in the itinerary (B= Breakfast, L= Lunch, D= Dinner). Contributions to the social projects visited. Donation to help in preserving the Amazon rainforest through agro-forestry and education. What is not included: Flights. Travel insurance. Alcoholic drinks. Additional meals or snacks. Travel within and around each town. Visa fees (if any). Tips. Souvenirs. Discover amazing rural Argentina! Venture into the rural splendor of the Calchaqui valley with its peculiar rock formations and experience rural life with cultural and eco-tourism activities in local communities such as wine-making, ceramic craftsmanship and the preparation of local dishes. Explore Salta, one of the most important cultural and historical cities in the country and visit the famous organic vineyards of Cafayate. Tagged as agriculture, cultural experiences, cultural heritage, desert, handcrafting, horse-riding, sightseeing, social and environmental projects, traditional gastronomy, wildlife, wine and vineyards.